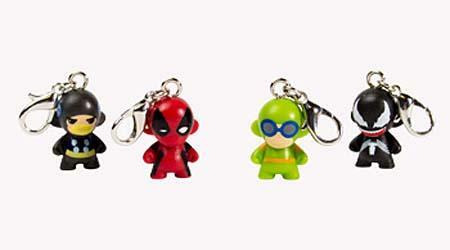 Kidrobot recently released its latest Marvel MUNNY zipper pull vinyl keychain series. If you’re a fan of the famous superheroes, these vinyl keychains should be able to catch your eyes. This is an interesting vinyl zipperpull keychain series themed by Marvel superheroes. 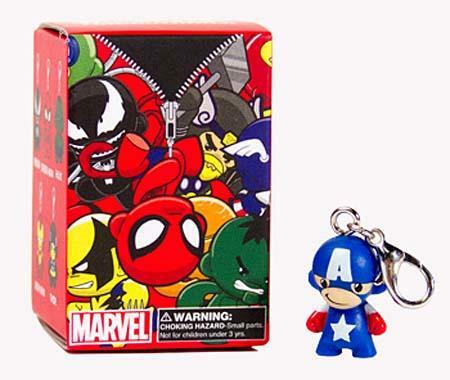 As we can see from the images, the zipper pull series totally contains 10 Marvel superhero MUNNY characters including Captain America, Iron Man, Spider-Man, the Hulk, Deadpool, and more. Each mini MUNNY vinyl figure measures 1 inch tall, and features the iconic details and accurate colors from their original design. Apart from that, using zipperpull attachment you can easily attach the vinyl figure to your backpack or out your keys together. 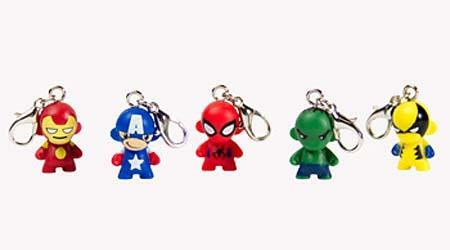 Each Marvel MUNNY zipper pull vinyl keychain is packed in a blind box, and priced at $3.99 USD. If you’re interested, jump to Kidrobot official site for more details.